Kyle Haley graduated with his bachelor’s degree in Public Health with a concentration in Health Promotion and Health Behavior in Spring 2017. Since that time, he’s been interning with the Community Epidemiology Services (CES) team at the Multnomah County Health Department. We caught up with Kyle to learn more about his time at Oregon State and in the College of Public Health and Human Sciences. Synergies: Please tell us a little bit about your internship. Kyle: “As part of the CES team, I’m assisting in the evaluation of the county project – Coaching Boys into Men. This project aims to reduce domestic and sexual violence amongst adolescents in Multnomah County by facilitating discussions around healthy and respectful dating behaviors. Synergies: How did being a student in the CPHHS prepare you for that role? Synergies: Was there a piece of advice or a lesson learned while a student that you’ve taken with you? Synergies: What do you like most about the transition from school to career? Kyle: “What I like most about my transition is how smoothly it went thanks to the help of Sara Caldwell-Kan. She was my preceptor for the internship I completed at Oregon State’s Student Health Services as part of the alcohol prevention team. Synergies: Did you receive a scholarship/fellowship or financial aid while a student at Oregon State? Synergies: What advice do you have for current public health students as they look for their first job out of college? 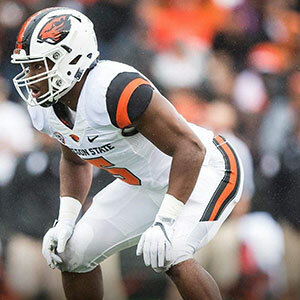 Synergies: Any final words or thoughts about your time at Oregon State?